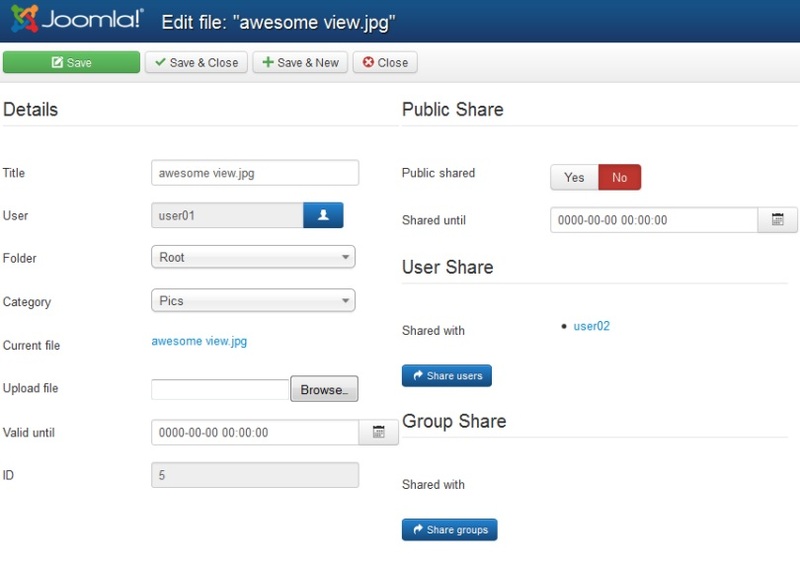 With Briefcase Factory users can upload and share files with other individual users or with specific assigned user groups. 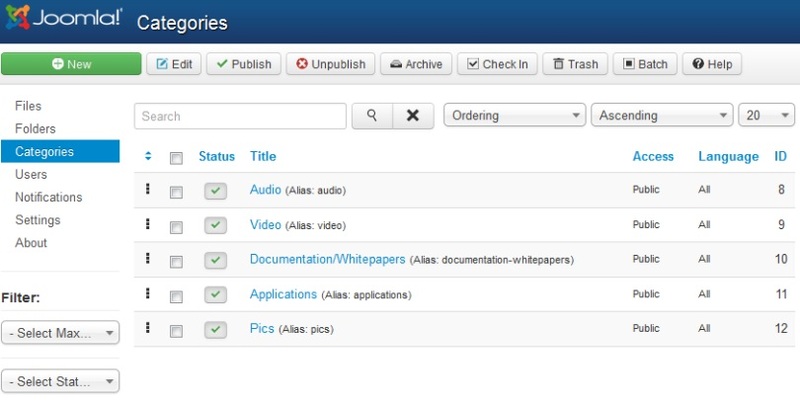 The site webmaster can easily manage a complete document sharing system, while configuring the limited availability period, as well as benefiting from email notifications and other important settings. briefcase Factory 4.1.9 released on November 7, 2018.
briefcase Factory 4.1.8 released on May 22, 2018. 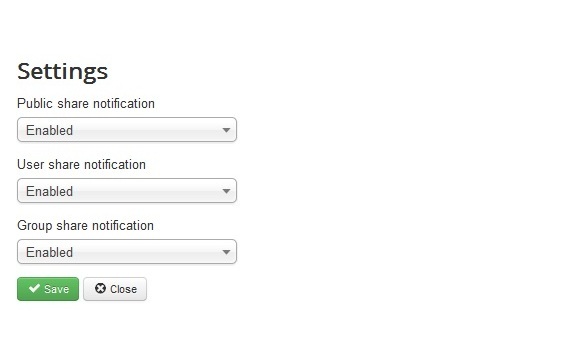 New feature: added option to search media description. 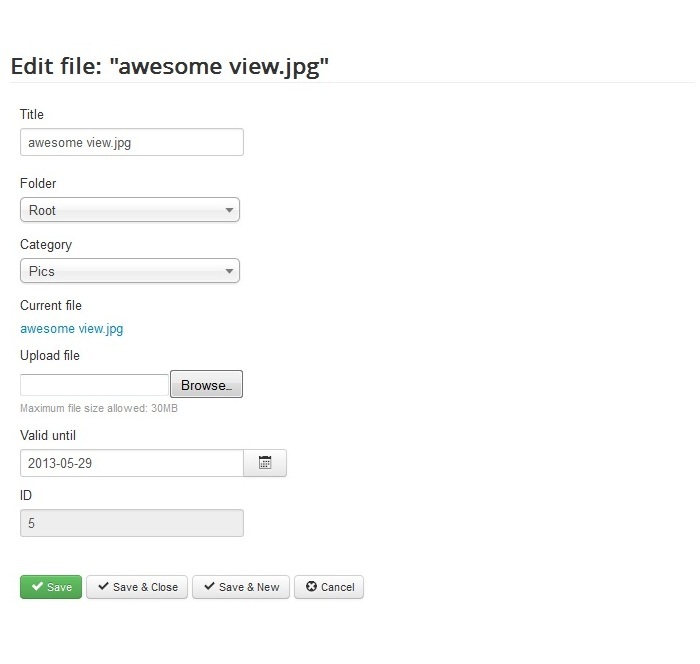 New feature: display image thumbnail (if enabled) when updating file. 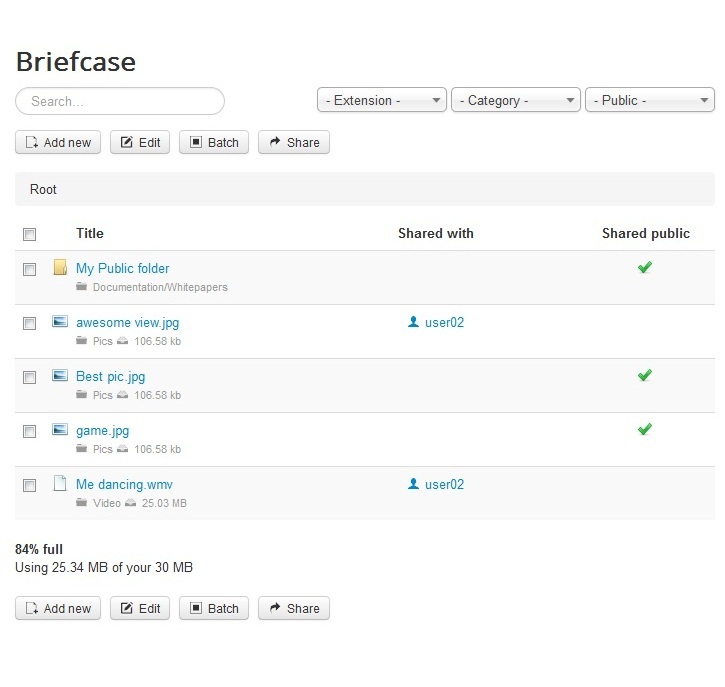 New feature: display downloads from shares on My Briefcase. Fixed issue regarding search on private and public shares. briefcase Factory 4.1.7 released on February 15, 2018. Optimization: added folder size progress bar display. 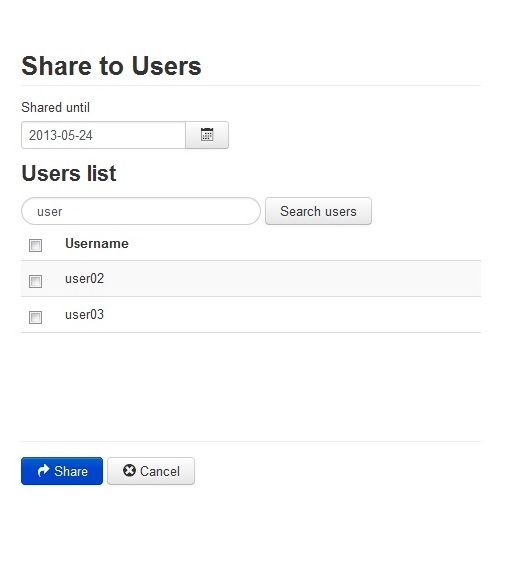 Optimization: improved share to groups dialog. 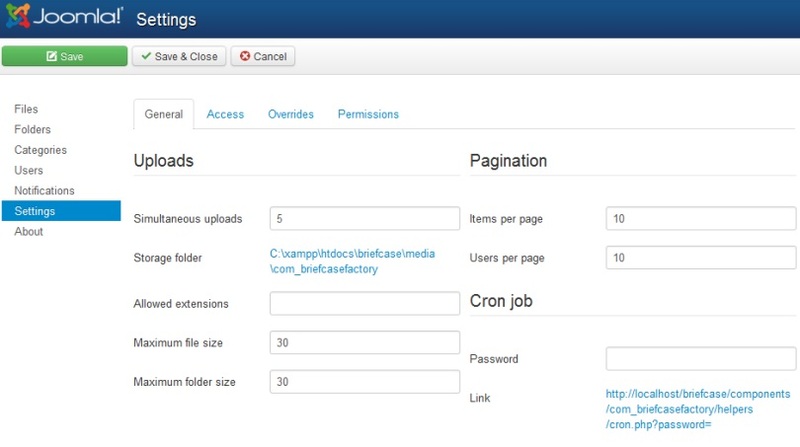 Optimization: better error message when uploading bulk files fails. 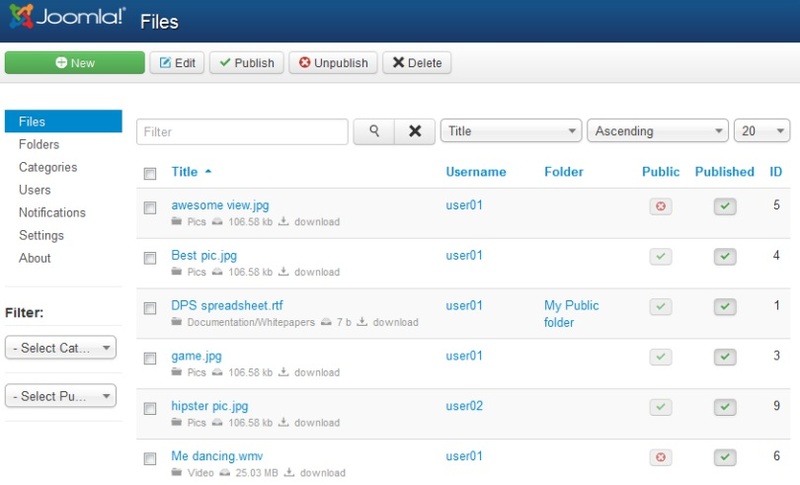 Optimization: file upload form optimization. Fixed several issues regarding private and public views on folder display, buttons display, inflector. 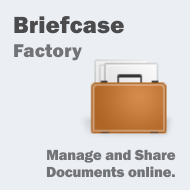 briefcase Factory 1.0.0 released on June 1, 2007. Screenshots are representing version 4.0.0 of Briefcase Factory.